A hernia is a protuberance that occurs when fatty tissue or an organ is contracted through a weakness or hole in the muscle wall slipping between some muscle or connective tissue. These are caused by poor diet, overexertion, constipation, cystic fibrosis, among others; thus, muscle weakening contributes to their origin. How can the patient know if he/she has a hernia? Pain or discomfort and a localized swelling somewhere on the surface of the abdomen or on the groin area. Constipation or blood in stools. What can the patient do to reduce the risk of hernias? Maintain a Body Mass Index between 18.5 and 25. Avoid losing weight too fast. Avoid straining and constipation during bowel movements. Use proper form when lifting an object, especially using the leg muscles more and the back muscles less. Ask for a physician’s advice when having a chronic cough. Avoid weight lifting that is too heavy. What are some interesting hernia facts? “More than five million Americans currently suffer from a hernia and over time that number continues to rise”, according to the National Center for Health Statistics. The chances of a hernia reappearing after surgery range from 1 to 10 out of a 100 surgeries performed. Using a mesh to repair the weak muscles in the abdominal wall decreases the chances of a hernia reappearance by more than a half. Serious complications from a hernia result in the trapping of tissues (incarceration), which can result in tissue damage or tissue death. Hernia repair and hernia treatment complications require surgery. The first 2 surgeries were very painful. I can remember it, every moment of that, I can remember it. With Dr. Choudhry’s surgery, I honestly did not feel that same level of discomfort at all. There was very little discomfort. Inguinal hernias occur when part of the intestine protrudes through a weak point in the abdominal muscles. As a result, a potentially painful nodule develops; especially, when doing some kind of effort, such as coughing, lifting, or some sudden movement creating pain in the groin area, a lump on each side of the pubic bone and/or a burning sensation or pain in the lump. Hiatal hernias happen when the muscle tissue that surrounds the diaphragm orifice weakens, and the upper part of the stomach bulges through the diaphragm and enters the thoracic cavity creating a nodule. There are various symptoms to hiatal hernias, such as heartburn, flatulence, difficulty swallowing, abdominal or chest pain, feeling of excessive satiety after eating, vomiting with blood and/or dark stools, which may indicate gastrointestinal bleeding. Ventral/incisional hernias occur in an area where a surgical incision has been previously made. They appear in the abdominal area, especially. They often develop when there is a malfunction with the stitches or an unusual change in the area situated close to the stitches; they may develop due to overexertion in the area or other health problems. Umbilical hernias appear in the navel area; specifically, where the umbilical cord was located. This type of hernia is usually caused by a congenital abdominal wall weakness, present since birth, and can arise at any age. The hernia specialist might choose to perform a laparoscopic surgery or an open surgery to treat inguinal, hiatal, incisional, and umbilical hernias. It’s a minimally invasive and low-risk procedure that uses a laparoscope. A laparoscope is a medical device that has an intense light and high definition camera on its tip, allowing the hernia specialist to see images on real-time reflected on a monitor without the need to make a large skin incision on the patient. For hernias that cannot be treated with laparoscopic surgery, a larger incision is needed. The hernia bulge can be either pushed back into place or it can be pushed back, sutured around, and removed. Open hernia surgeries often imply surgical mesh use. Hernias have a high recurrence rate, and hernia surgeons often use a surgical mesh to strengthen a hernia repair and reduce its recurrence rate. Since the 1980s, there has been an increase in mesh-based hernia procedures: in 2000 non-mesh procedures accounted for less than 10% of inguinal hernia repair techniques. Surgical mesh use can also improve the patient’s outcome through shorter surgical time and minimal recovery time. However, the recovery time depends on the type of hernia, the surgical approach, and the patient’s condition, both before and after surgery. A surgical mesh is a medical device that is used to provide additional support for weakened or damaged tissue. Most surgical mesh devices currently available for use are constructed from synthetic materials or animal tissue. The synthetic materials used may be absorbable, non-absorbable or a combination of absorbable and non-absorbable materials. Non-absorbable meshes will remain in the body indefinitely and are considered permanent implants. They are used to provide permanent reinforcement to the repaired hernia. Absorbable meshes will degrade and lose strength over time. As the material degrades, the new tissue growth is intended to provide resistance to repair. The return to normal activities after umbilical hernioplasty surgery usually happens four weeks after surgery, although in many cases it may be earlier. This should be consulted with the hernia specialist who has performed the surgery since it will be checked on a case by case basis. Do not put your hernia surgery on hold! Decades ago, many people postponed surgical procedure for fear of pain and lengthy recovery. Postponing surgery can bring dangerous complications and emergency surgeries; now, there are new techniques that avoid discomfort and guarantee a shorter recovery. Vineet Choudhry, MD FACS is a hernia specialist in Texas. He offers his patients many innovative options for hernia surgery. 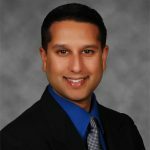 Vineet Choudhry was born near Chicago and has lived in various places growing up such as Kansas City and San Francisco. However, he moved to Ft. Worth, Texas in 1984 and now considers himself a native Texan. He graduated with a Bachelor of Science in Biochemistry from the University of Texas at Austin in 1997. He then received his medical degree at Texas A&M Health Science Center College of Medicine. After successfully completing his specialty training residency in General Surgery at the University of Kansas School of Medicine in Wichita, Kansas, he returned to Austin in 2008 to open his medical practice. Learn more about Vineet Choudhry by visiting NorthStar Surgery Specialist Website.